There are times when going against the grain pays big dividends in life and this often holds true in bass fishing. When the unbearable summer heat sets in over your favorite fishery, don’t overlook the power of bass fishing in shallow water. Although many of us are guilty of assuming the best opportunity for excellent fishing lies in deep offshore structure, it’s not uncommon to catch monster bass in just inches of water. We spent some time documenting FLW Tour pro Wesley Strader’s recent tournament on Kentucky Lake. On a world renowned offshore fishery, we found often found him fishing—and catching—in less than one foot of water. So what gives? He’s a big believer in dissecting shallow water throughout the summertime and according to him, there are 5 things you can do to drastically increase your chances of success. As with any bass fishing technique, it’s important to understand the advantages and disadvantages of targeting shallow bass in the summer. When you see the majority of your fellow anglers parked on offshore structure, it takes some gutsy decision making to commit to the shallows. "There will always be shallow bass regardless of the time of year. Targeting them in the summer is an excellent way to catch big ones and avoid the crowds." Regardless of the conditions or time of year, you can always catch a few bass in shallow water. There are, however, several factors that can lead to phenomenal fishing and supersized fish. Bass aren’t likely to swim very far from their traditional summertime haunts, so adjacent deep water is important to Strader’s shallow water strategy. This gives the bass an opportunity to move to shallow water to feed and slide back into deeper water when they’re lethargic—all without using much energy. 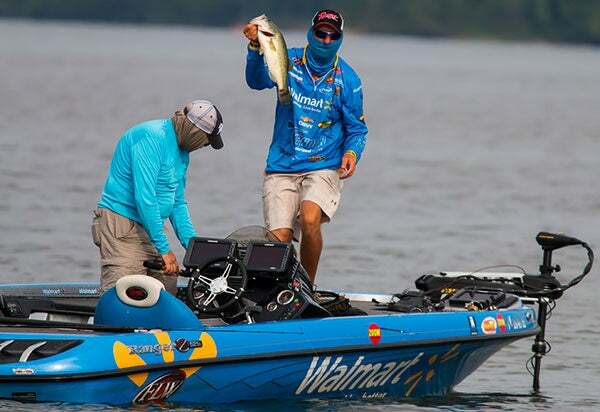 As things progress to the later part of summer, nearby deep water plays a less significant role for Strader because his attention quickly turns to shad fry. Small details make a big difference when developing a strong shallow water pattern. Strader makes an effort to keep his head on a swivel at all times while inspecting each fish he catches. Fish what others leave behind! Strader doesn't leave anything behind when fishing shallow flats. While others may bypass seemingly menial pieces of cover, he makes sure to hit 'em. The more isolated it is, the better chance it holds a bass. Sure enough, just seconds after Jason left the area Strader caught an 8-pounder. How did he know that was going to happen? The answer is simple—confidence. 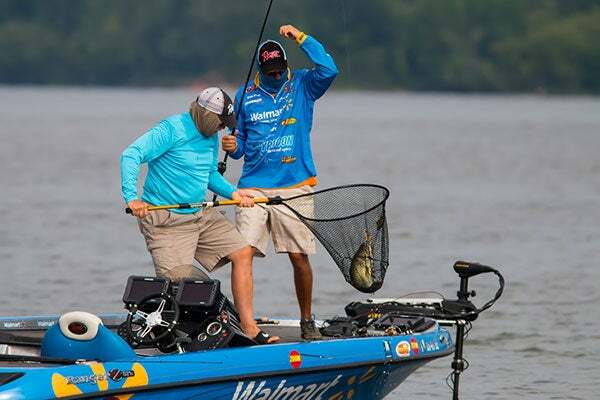 Beat the crowds this summer and spend some time targeting shallow bass. Even if everyone else rushes to offshore structure, don’t be afraid to take a gamble because it can definitely pay off. If you can understand what makes summer bass move shallow, focus on high percentage areas, pay attention to detail and embrace a confident mindset, you’ll have an excellent chance of catching big bass.